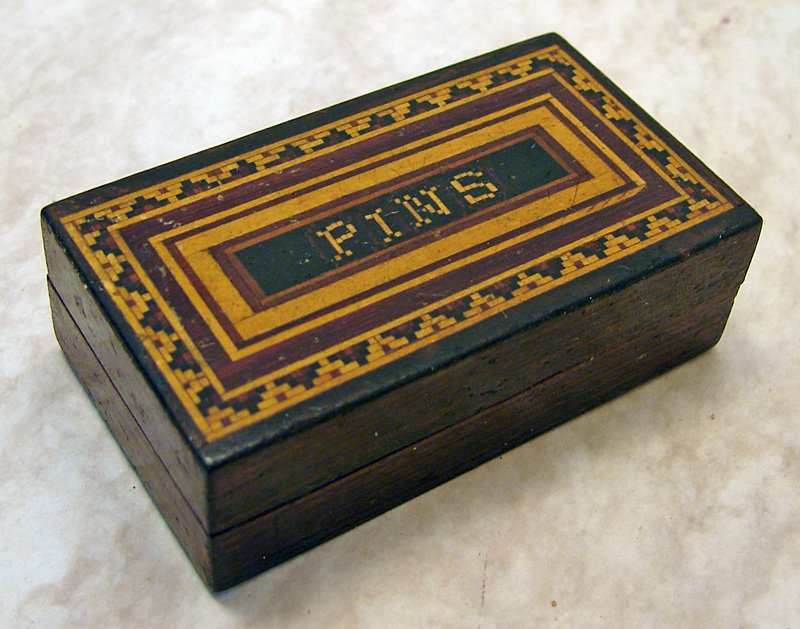 Antique Tunbridge Mosaic Ware match box. 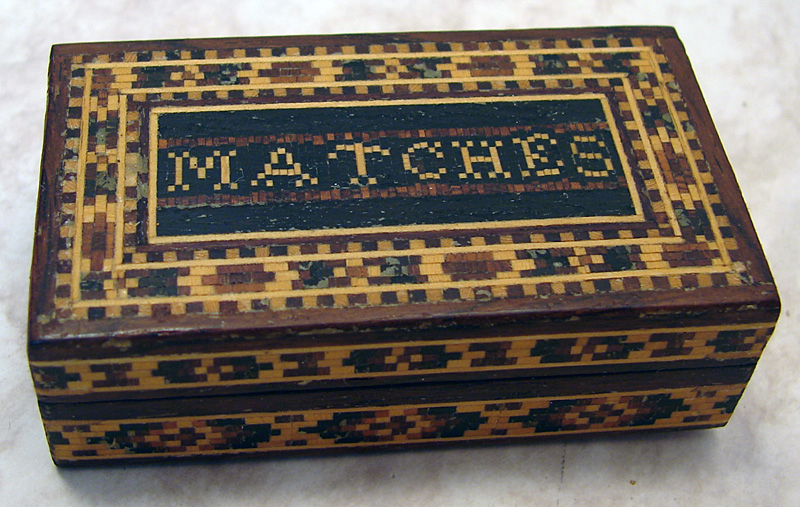 Decorated on the top and all 4 sides with tesserae mosaic decoration, the word "MATCHES" to the lid. 2 1/2" x 1 3/8" x 3/4" tall. Excellent condition.